Here End of the Implosion | Ich bin ein Sender. Ich strahle aus! | I am a sender. I transmit! 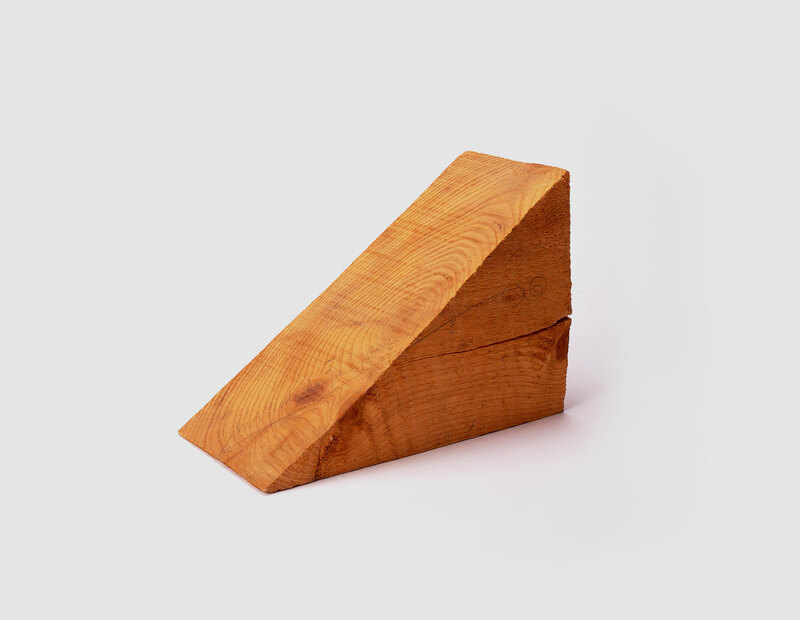 Among the simplest and sparest of Beuys’s multiples, this steeply sloping wooden wedge is traversed by a slender arrow drawn in pencil. 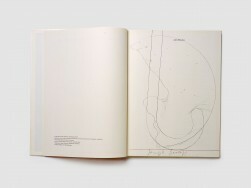 Where the arrow commences toward the rear of the wedge, Beuys has inscribed a spiralling infinity symbol. Where it ends near the wedge’s chiselled point he has written the words ‘Here End of the Implosion’ [hier Ende der Implosion]. 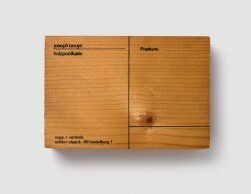 Together these motifs comprise a diagram of Beuys’s understanding of the links between spirit and matter. 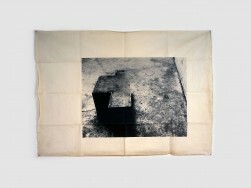 Beuys conceived of spirit as an intangible, dimensionless force that enters into and animates matter. In its native, immaterial condition, it is infinite.1 Passing into matter, however, it must undergo a process of physical enclosure and is thus subjected to an act of immense compression. As Dierk Stemmler has noted, it is this dramatic act of constriction or ‘implosion,’ that is evoked by the flight of Beuys’s arrow as it passes from the open, rear face of the wedge, toward its tightly compacted leading edge.2 The fact that the surface of the wedge is alive with swirling wood-grain, conveys the feeling that this raw block of physical material is, consistent with Beuys’s thinking, infused with the energies of spirit.